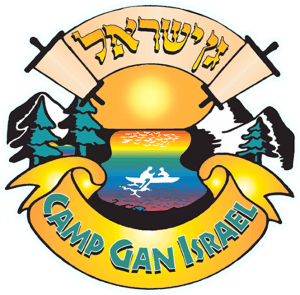 Thank you for Joining us in showing appreciation to Rabbi and Mrs. Berel Mockin שיחיו for sixty years of commitment to Camp Gan Yisroel, its campers and staff. Together, we will present them with a Sefer Torah written in their honor. A gift from the campers of the past to be used by campers of the future! It only takes sixty seconds to join, yet it will show our appreciation for sixty years! Every Jewish man, woman and child should own a letter in a Sefer Torah! Rabbi and Mrs. Mockin will be presented with the names of all the participants in this gift. Each participant makes this tribute gift more meaningful. Please specify which Parsha you wish to sponsor and we will do our best to accommodate. Each sponsor of a Parsha will have their family name displayed on the Torah's breastplate. Please include the position(s) that you were in camp each year if you can. Do you want a Canadian Tax Receipt? *Please allow 24 hours processing time for your name to appear. Shloime Ezagui late sixties and on….. Possuk in honor of Rabbi Berel Mochkin who instilled in me a feel for true heartfelt chassidishkeit. Shmarya Plotkin 1980-1995 Camper, Counselor, Learning Teacher,Canteen,Truck Driver 7 Letters in honor of Devory, Chayale, Menachem, Rivkah, Sody, Levi, Yisroel Plotkin & Menachem 1st year in Gan Israel!!! Levi Jaffe 1990, 1991 Masmidim Cnslr. best summers! Possuk in honor of the Motchkin Family! Nochum Greenwald 2000 camper bunk yud 2001 bunk tes zayin, 2009 counselor bunk yud(co with Mendy Marlow) 2010 counselor Section C kevutza daled,2013 Masmidm counselor 4 Letters in honor of Rabbi Berel Mochkin, Rabbi Yisroel Mochkin and Rabbi Mendy Marlow.